Bart Wolffe was born in Harare, Zimbabwe in 1952 and left in 2002 for exile in Germany via London. He is a Zimbabwean leading playwright with work performed in nine countries. His fourteen plays include The Sisyphus Road (2002), The Art of Accidental Stains (2002) and Killing Rats (2001). He worked extensively, not only in Zimbabwe, but throughout the countries of Southern Africa as well as in Edinburgh running theatre and play writing workshops and touring shows as well as performing. He has several published books, mostly poetry, including of coffee cups and cigarettes (1991) and Changing Skins. His work has been included in numerous anthologies such as New Accents, a joint anthology of five African poets and his collection of short stories is entitled A Twist of Tales (1989). His novel Eye of the Witness (1995) is unpublished for fear of political repercussions. He was a freelance journalist and was involved in the media in film, television, print and radio. Sitcoms and features included observations on society and its issues in Zimbabwe. Waiters, Dr Juju and many more, and his theatre columns commented on the use of stage as a social platform where government control had not altogether taken over the artists’ voices. However, the banning of all independent newspapers and the jamming of radio stations curtailed his freedom to continue to make a living as a writer and free thinker. The lack of freedom of expression meant that continuing as an artist in Zimbabwe became impossible. Son of a Superintendent of schools, Nkwachukwu Ogbuagu, Nigerian poet, novelist and short story writer, was born on 16 January, 1968. He began writing fiction at the age of fifteen, and since then has written five novels, eight collections of poems and two books of short stories. His third novel, BOSHETH WILLIAMS, was published in England in 2003. A political, recommendable literary fiction for colleges and universities, the novel was to generate controversies that riled the anger of the northern section of his country. 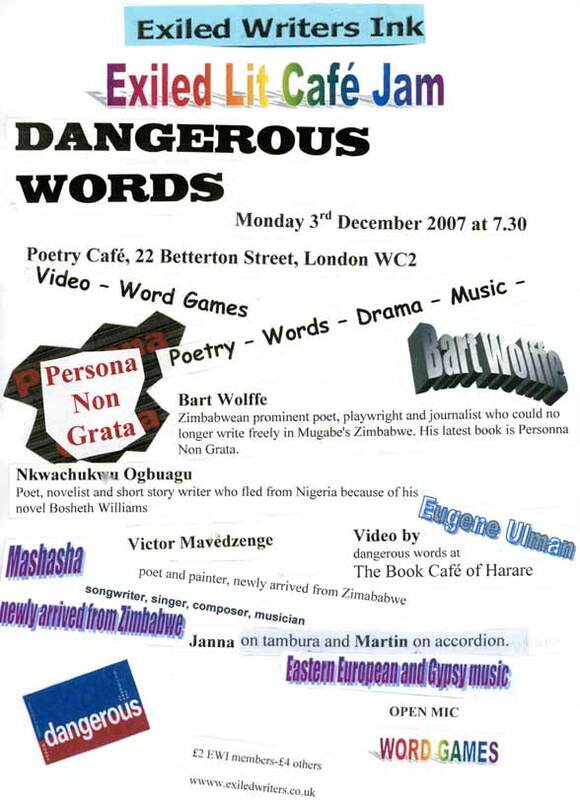 For this reason, Ogbuagu seeks sanctuary in Britain as an exiled writer. Uzbek journalist and writer forced to flee Uzbekistan in 1992, since when he lives in the UK and works at the BBC World Service. He is a prolific writer of prose and poetry, and his books have been published in Uzbek, Russian, French, German, Turkish and other languages; his works are banned in Uzbekistan.. He has also translated Russian and Western classics into Uzbek, and Uzbek and Persian classics into Russian and some Western languages. His novel The Railway, written before he left Uzbekistan, was the first to be translated into English by Robert Chandler (with Ismailov in this photograph), and published in 2006. Left Chile in 1979 for England after months of persecution, intimidation and terrorisation following Pinochet’s coup against Allende. She studied English literature at the university in Chile and was passionate about Shakespeare and US authors: books by the black poet Langston Hughes intensified police questioning the night her husband was brutally detained in 1978. She has been a teacher, actor, scriptwriter and stage manager of women’s plays in the UK, and researcher for documentary films. She was a producer and broadcaster at the BBC World Service, and now belongs to a literary workshop of Chilean women in Britain and devotes herself to writing. Born in South Africa of British and Dutch ancestry on opposing sides during the Boer war, her childhood was divided between imitation English boarding schools and camping safaris with her grandfather who inspected African schools in the remotest reaches of the British protectorates, giving her an intimate view of African tribal life. Consequently, as neither white supremacist, nor black freedom fighter, nor a communist, after graduating from university she joined the exodus of so called ‘liberals’ without a platform in 1964, finally settling in England in 1970. She writes fiction, plays and poetry. Fathieh Saudi born in Jordan, will be launching her new poetry book: The Prophets.She completed her medical studies in France. Her books include L’Oubli Rebel, Days of Amber and The Prophets and she has translated books from English and French into Arabic. She is a recipient of several human rights awards. Tajia Al-Baghdady is a graduate of Baghdad University, College of Arts in Arabic Studies. In Iraq, she was headmistress of a girls secondary school. Tajia is a published author whose poetry has been published in the Middle East and in London based newspapers such as Asharq Al Awsat. She spent 18 years of her exiled life teaching Arabic, Art and Islamic Studies in London until her recent early retirement which she is devoting to writing and research. Lynette Craig holds an MPhil in Writing and leads poetry workshops with refugee groups and mentors and edits their work. Her own collection, Burning Palaces, (Flarestack), explores dispossession and persecution in her own family heritage. Jennifer Langer – Jennifer Langer’s poetry on the complexity of identity, confronts difficult issues. She is editor of three anthologies of exiled literature: The Bend in the Road, Crossing the Border: Voices of Exiled Women Writers and The Silver Throat of the Moon: Writing in Exile (Five Leaves). Her forthcoming book is If Salt Had Memory: Jewish Exiled Writers from Africa, Latin America, Eastern Europe and the Middle East (Five Leaves). She has an MA in Cultural Memory. John Subbiah is a well recognised Sitar musician and disciple of Ravi Shankar. He also plays the Arabic oud and guitar. His passion is in sitar fusion with multi-cultural ethnic music. he is currently engaged in international peace work through his music. 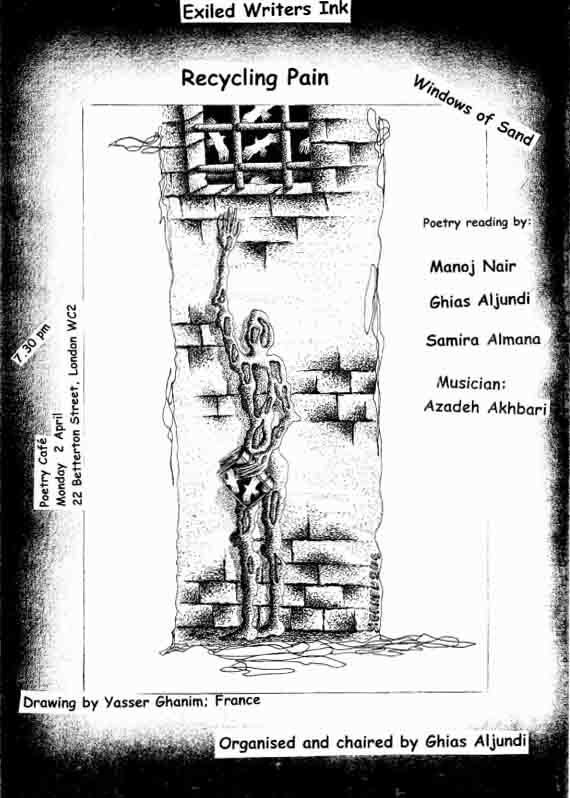 Soleïman Adel Guémar whose poetry book State of Emergency has just been published by Arc. Rooted in Algerian experience, it speaks of urgent concerns everywhere – oppression, resistance, state violence, traumas and private dreams.Soleiman Adel Guemar was born and raised in Algiers where he worked as a journalist. 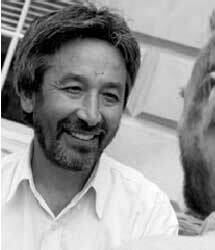 He also published numerous stories and won two national poetry prizes. In 2002 he left Algeria to seek safety for himself and his family in the UK. Playwright Jean-Louis N’tadi was born in 1964 in Congo-Brazzaville. A political activist with the main opposition party and a Red Cross humanitarian worker, he was dubiously charged by the government with “trafficking information” and defamation. His works include the Le Chef de l’Etat, a parable highly critical of the presidency of Sassou-Nguesso, Vendu, Verve d’une Creature and Monsieur le Maire and L’Acte de Naissance, two volumes written during his detention at Campsfield. He also writes poetry. Cristina Viti is a poet and translator. Published work includes translations of Dino Campana and Elsa Morante. Janet Simon comes from the East End of London and was educated at York and Oxford Universities. She lived in Paris throughout the 1970s and became fluent in French. Returning to London she worked with deaf, homeless and older people and with asylum seekers. Janet was a prizewinner in the 1991 National Poetry competition. In 1995 she published a collection of poems called “Victoria Park” (Loxwood-Stoneleigh), and in 2006 her pamphlet Asylum was produced by Hearing Eye. Born in Pakistan, Moniza grew up in England. 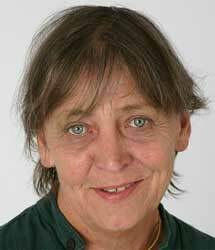 She has published five books of poetry, the most recent being How The Stone Found Its Voice, 2005. He has translated over 20 books from both Russian and Turkish. He is also a poet whose books include Poet for Poet and Coffeehouse Poems. Kurdish harpist and singer who studied Western Classical music and piano at the Musical Academy in Baghdad. Poet and recipient of several human rights awards. 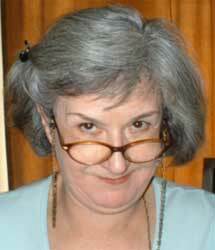 She is current Chair of Exiled Writers Ink. 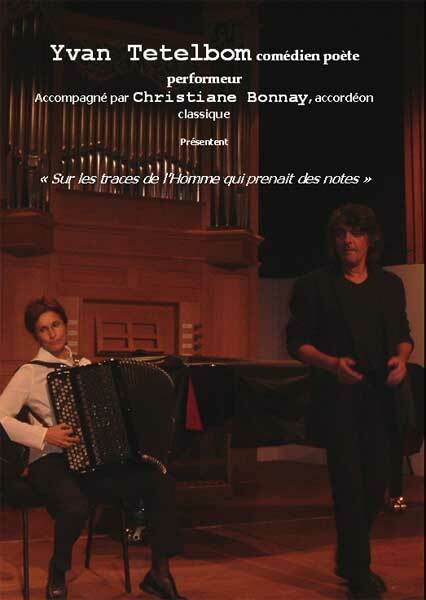 Yvan Tetelbom: the performance poet born in Algeria and exiled in France with Polish, Algerian and Jewish origins. Khalid Kishtainy, satirist, prolific writer and author of ‘Tales From Old Baghdad, Grandma and I’ . His poems have been widely published and his pamphlet, Oh My Rub!, was a Smith/Doorstep Books winner. He was winner of The Forward Poetry Prize for ‘Look We Have Coming to Dover!’, a poem about the experience of his Punjabi parents when they first came to Britain. llya Kormiltsev became known in the mid-eighties as the lyricist-producer of the popular Russian rock band Nautilus Pompilius. During perestroika the band gained a massive following and Kormiltsev’s lyrics were sung and quoted throughout Russia. After close to twenty recorded albums, the band split up in 1997. Kormiltsev has translated into Russian works ranging from W. S. Burroughs and Irvine Welsh, to Tom Stoppard and C. S. Lewis. A collection of Kormiltsev’s own poetry, short stories and plays was published in Nobody From Nowhere (2005). In 2002 Kormiltsev founded Ultra.Kultura Publishers which is dedicated to transgressive and provocative books. In its short existence, Ultra.Kultura has gained notoriety and now has the highest number of lawsuits per year. Robert Chandler is the translator of Vasily Grossman’s ‘Life and Fate’, as well as of Pushkin’s ‘Dubrovsky’ and Leskov’s ‘Lady Macbeth of Mtsensk’. His co-translations of Andrey Platonov have won prizes in both the UK and the US. He is the editor of ‘Russian Short Stories from Pushkin to Buida’. His translations from languages other than Russian include selections of Sappho and Apollinaire., and his most recent translation is of Hamid Ismailov’s ‘The Railway’ a witty and exuberant novel set in Uzbekistan. He especially enjoys translating in collaboration with other people. He teaches part time at Queen Mary College, University of London. His next translation projects are Pushkin’s ‘The Captain’s Daughter’, Platonov’s long novel ‘Chevengur’ and more works by Vasily Grossman – most likely his short novel ‘Everything Flows’. He also hopes to compile an anthology of Russian fairy tales.